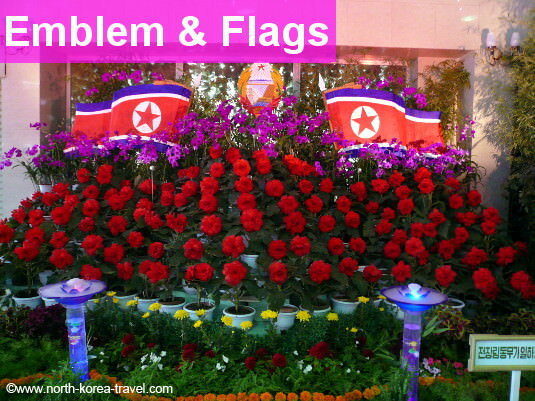 North Korea Vacation - once in the DPRK you will have the chance to see a flower exhibition, perhaps the only of its kind in the world. The purple, smaller flower is the Kimilsungia and the red one is the Kimjongilia. 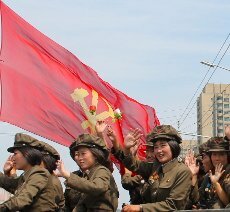 The actual National Flower of the DPRK is the Magnolia, which is white. 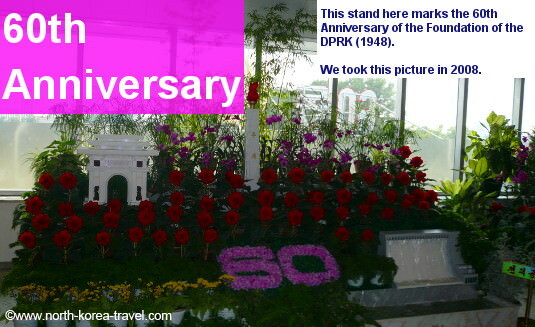 The Kimilsungia flower was presented by an Indonesian Botanist on April 15th 1975 (Juche 64 in North Korea) on occasion of President Kim Il Sung's Birthday. The Kimjongilia flower was presented by a Japanese botanist in on February 16 1988 (Juche 77) on the occasion of General Kim Jong Il's Birthday. 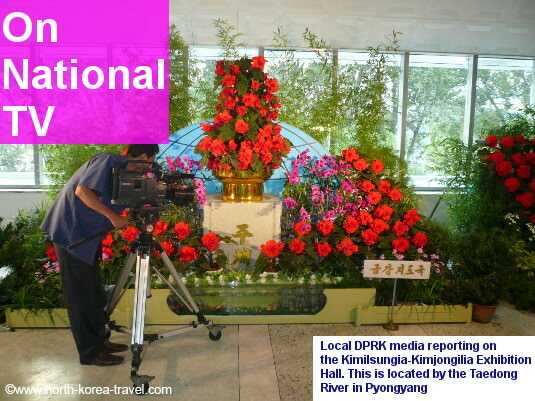 The Kimilsungia-Kimjongilia Exhibition Hall hosts the International Kimilsungia and Kimjongilia Festivals which focus exclusively on two flowers; the Kimilsungia and the Kimjongilia, named after the Kim Il Sung and Kim Jong Il respectively. 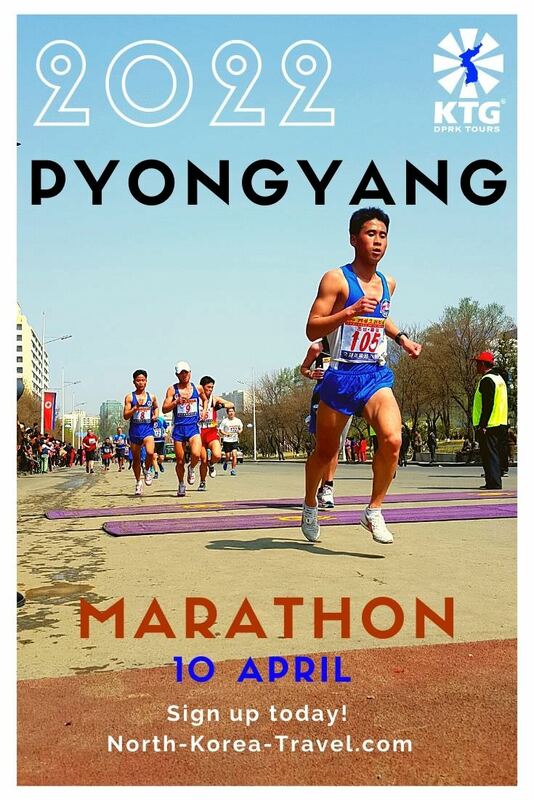 The latter was bred by an Indonesian botanist and the later by a Japanese one then presented as gifts to the DPRK. 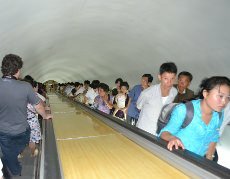 Image above: stand of the stall shown being filmed for national North Korean TV. This exhibition centre has dozens of stands on each of its two floors composed of these two flowers. 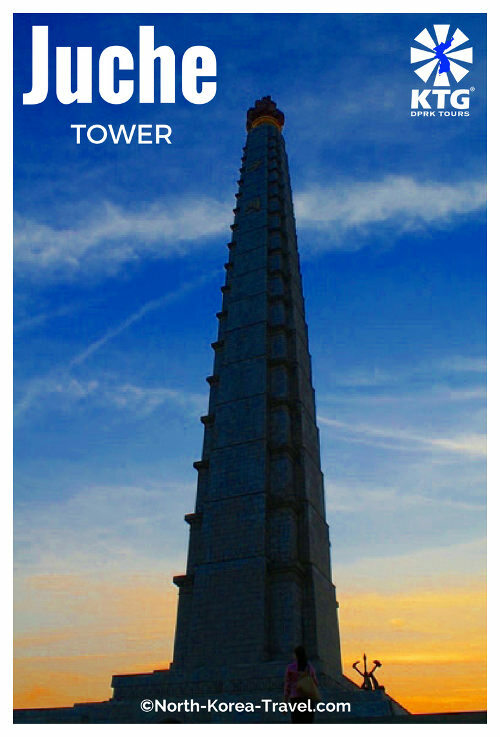 Each stand is designed and offered by an official workplace (for example the railway group, the tourism bureau, etc) and has national symbols such as flags, reproductions of national monuments, national dates, and so on. Left image: The stand above marks the 60th Anniversary of the country's foundation. We took this picture in 2008. The purple flowers making the number 60 are the Kimilsungjia flowers whereas the red ones are the Kimjongilia flowers. 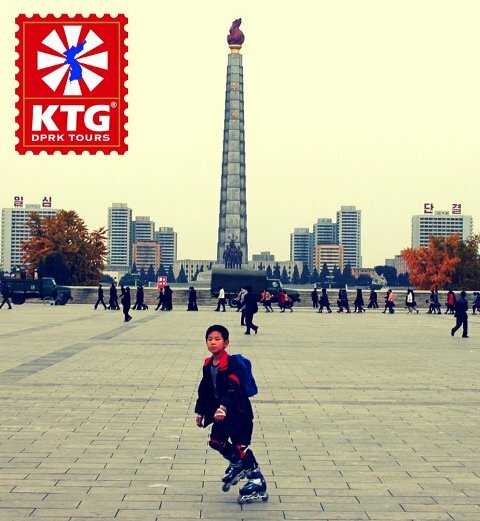 If you notice you can see an image of the Juche Tower and the Pyongyang Arch of Triumph. 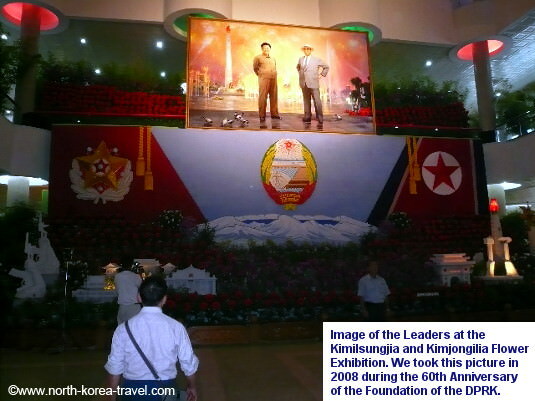 If going here on your North Korea vacation you will see hundreds of North Koreans wandering around the exhibition hall on marked dates such as the Leaders' birthdays. Perhaps as spectacular as the thousands of flowers in the the Exhibition Centre is the sheer number of people there present; hundreds of families, co-workers and party officials that make the number of daily visitors to an exhibition reach astronomical figures, sometimes surpassing several hundred thousands according to our Korean guides. 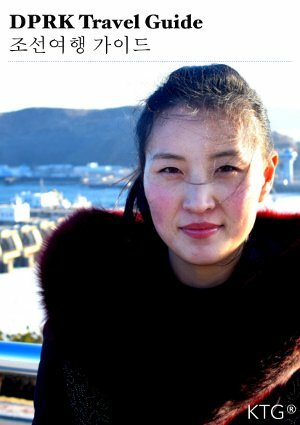 Reporters from national Korean TV are likely to be seen interviewing people who represent their work group. This is sometimes all combined with patriotic music and pictures of the Leaders and the achievements made by the country in the background. 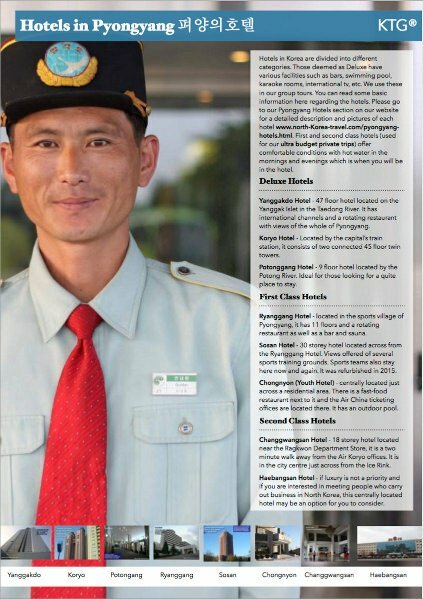 Please click on our North Korea Information for information about the DPRK that you will find useful before you set off for your North Korea Vacation.